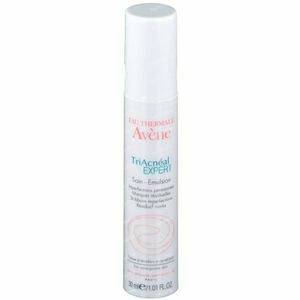 Avène TriAcnéal EXPERT 30 ml order online. Helps eliminate severe imperfections while smoothing the skin. Paraben-free. -Anti-irritating : Effectiose ®, a patented innovation, regulates the influx of irritating substances at the follicle level. -Purifying : Through the peeling effect of Glycolic acid. -Smoothing : Retinaldehyde regulates the formation of skin flaws and prevents residual marks. 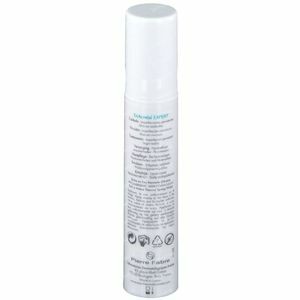 -Soothing : Avène Thermal Spring Water, soothing, softening, provides the skin with a feeling of instant comfort. 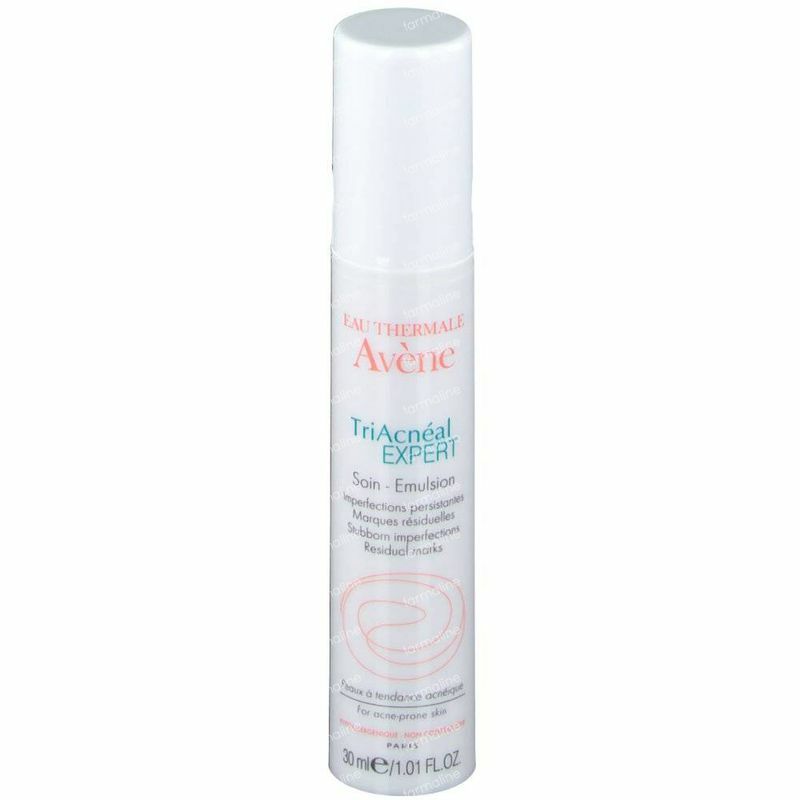 TriAcneal is particularly indicated for oily skin with severe imperfections. -Cleanse your face with Cleanance Soapless Gel Cleanser and dry gently. -Apply TriAcneal evenly on your face in the evening. -Avoid the eye contour and the lips areas. Was recommended by my dermatologist who noticed my impurities. Best product I ever bought! It is really effective and within no time I get rid of my spots. Occasionally they appear, but with this product I get rid of them very fast. Ans it also seems that it eliminates my scars. The tube is used up, but could use one tube for a pretty long period, time for my new purchase! My dermatologist recommended me this product. 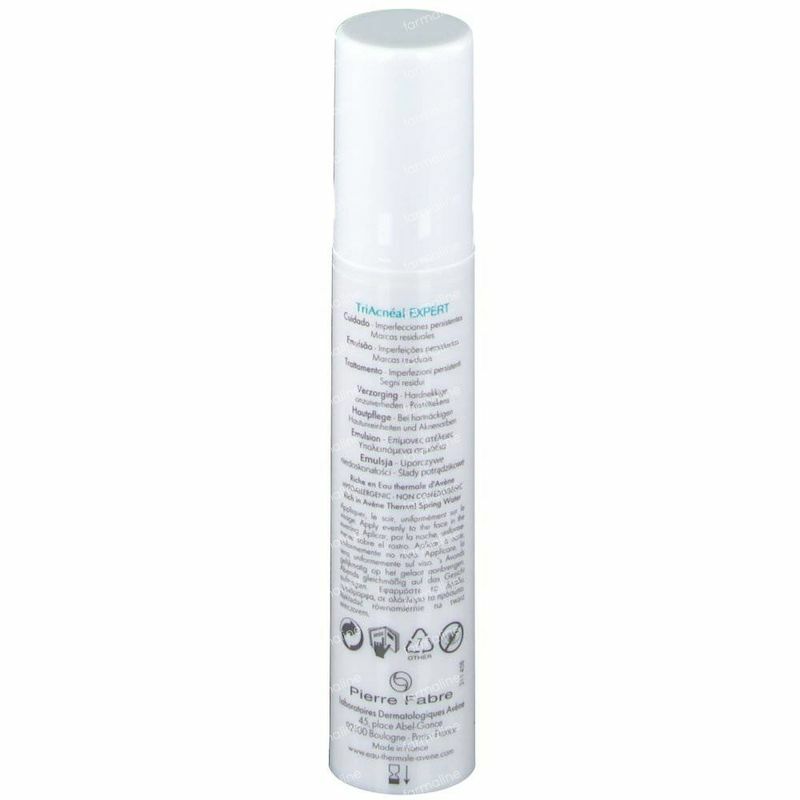 It feels comfortable and doesn't dry out the skin, no unpleasant odor. And very effective for the 'annoying' spots.